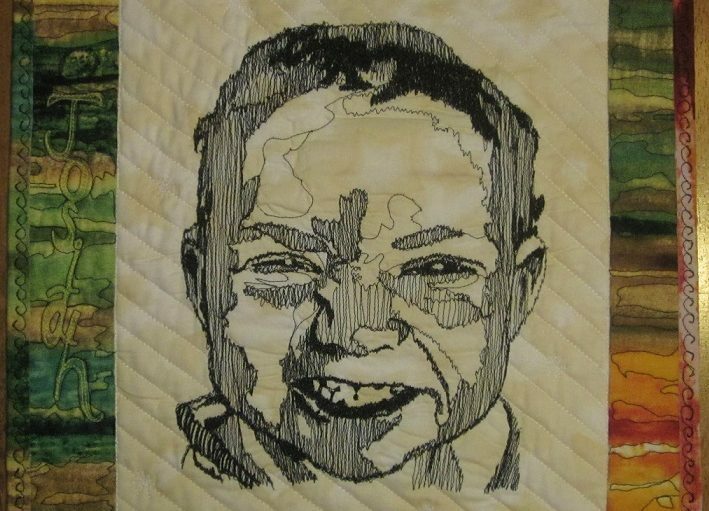 This is a small piece I did of my niece’s son several years ago. I finally finished him last week. I was pleased with the results. Very nice! How did you do it? 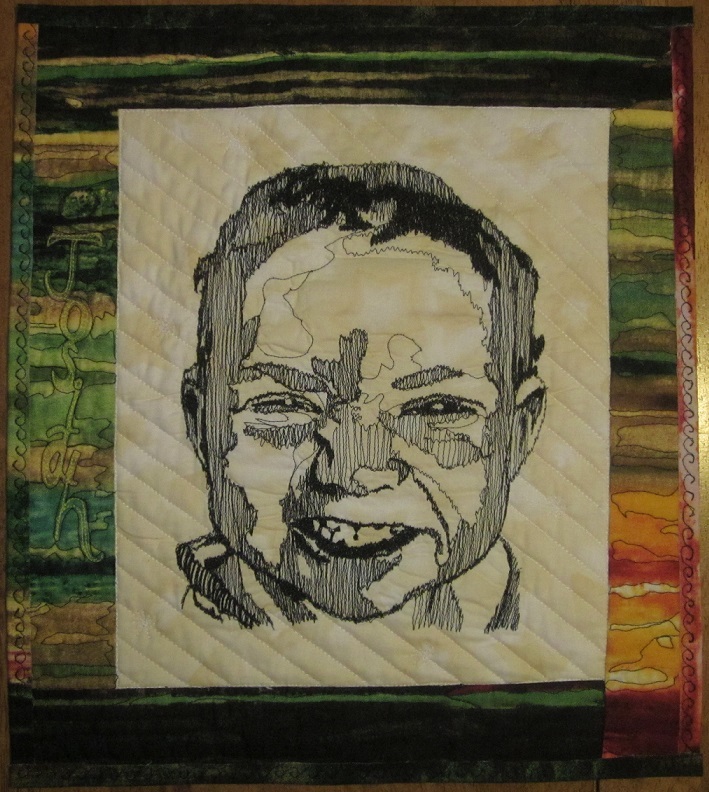 I took a class from IQuilt on thread portraits. It’s not that hard to do.